As temperatures plummet, we turn our attention to those in need. 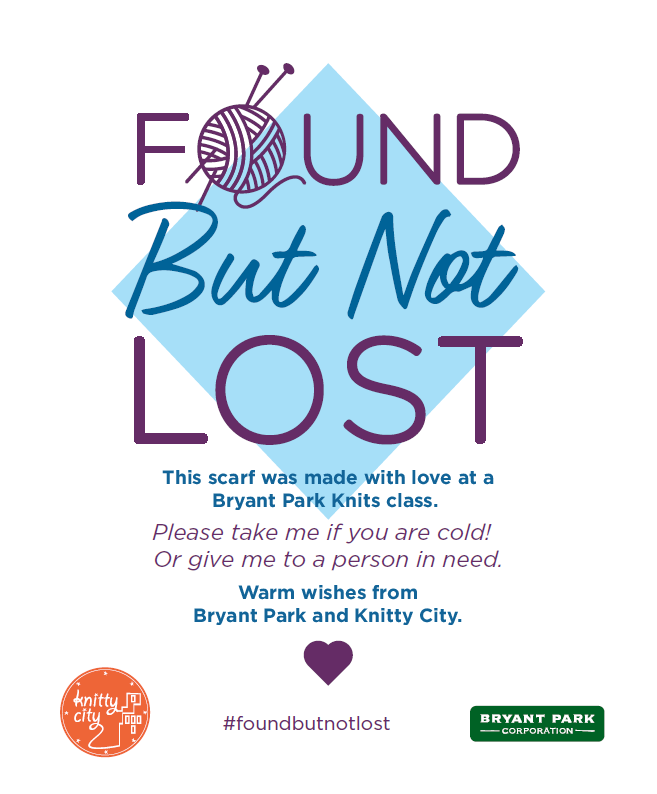 Bryant Park Knits and Knitty City created the "Found but not Lost" program to do just that. 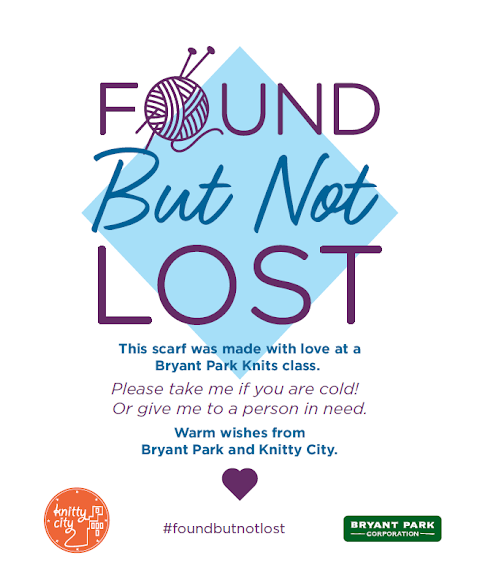 Since the summertime, our knitters have been working diligently to produce 116 scarves in time for the cold weather. This tag will be affixed to all scarves knitted through the program. Now that it's finally chilly, it's time for the scarves to be distributed. Beginning this Wednesday, the scarves will be tied to fences, trees, lampposts and monuments throughout the park. Each time a scarf is taken, it will be replaced, until all the scarves are in the hands (and on the necks!) of those who need them most. Just a fraction of the 116 cozy scarves, tagged and awaiting adoption. If you or somebody you know is in need of a winter warmer, drop by Bryant Park on Wednesdays, Thursdays and Fridays this winter, while supplies last. Giving, and getting, makes us feel all warm and fuzzy. Hi, Margaret - we've got plenty of scarves, but thank you for the offer!